The Dockzilla Extra Wide Loading Dock provides a 9 ft. of clear width loading deck that sets up outside the trailer doors to accommodate oversized loads and trucks that arrive off-center. 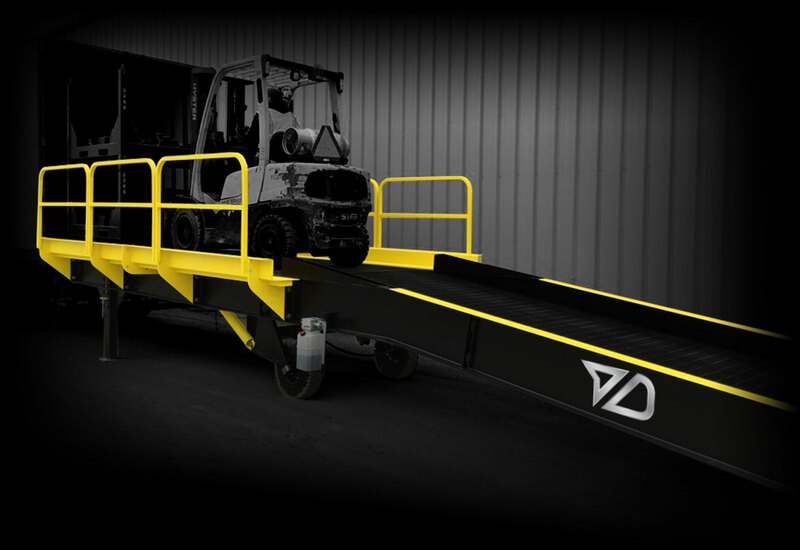 Engineered a full 12” wider than traditional mobile yard ramps, this expansive loading ramp tackles space limitations and side curb interference that keep forklifts from filling trailers. This DZ unit also features a 15 ft. long loading deck to help forklifts maneuver vast loads and achieve 100% “trailer cubing” — translating to fewer loads and reduced transportation costs over time. Widest loading deck available at 108” manhandles oversized loads and ensures full trailers. The DZ Extra Wide Loading Dock is built standard with 108” of clear loading width for challenging loads, like residential storage pods, automotive racking, and lumber. © Copyright 2019 Dockzilla Co., All Rights Reserved.